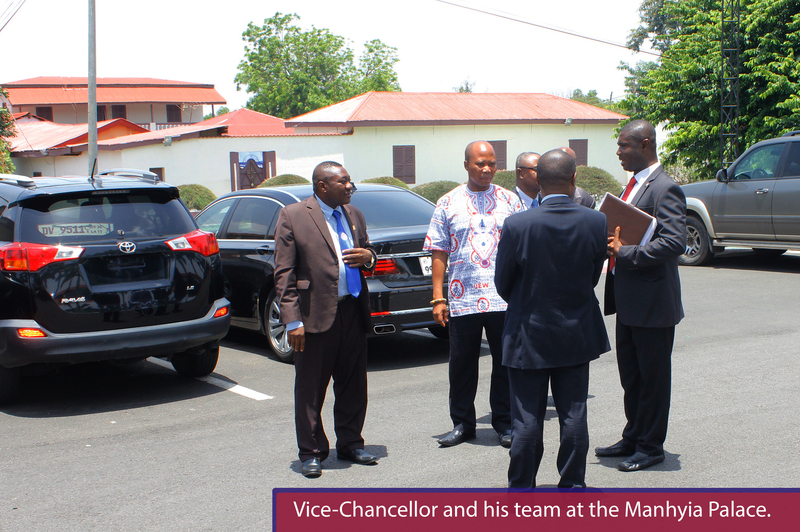 He was accompanied by principal officers of the University including the Registrar, Dr. Christopher Y. Akwaa-Mensah; Finance Officer, Dr. Theophilus S. Ackorlie; Principal of the College of Technology Education, Kumasi (COLTEK), Prof. (Ing.) Reynolds Okai; College Registrar of COLTEK, Mr. Michael Kofi Adu and Senior Assistant Registrar in-charge of University Relations, Mr. Michael Kofi Twum-Ampomah. In brief remarks, the Asantehene prevailed upon management of the University of Education, Winneba (UEW) to evaluate and refine its curricular to be in line with industry. 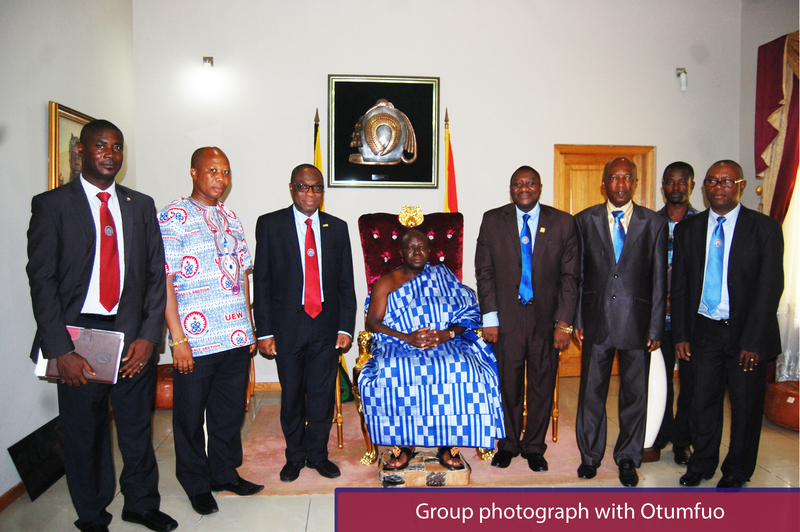 Otumfuo reiterated the important position of the UEW in the country’s development efforts, as teacher training institution and impressed upon management not to compromise the quality of delivery. 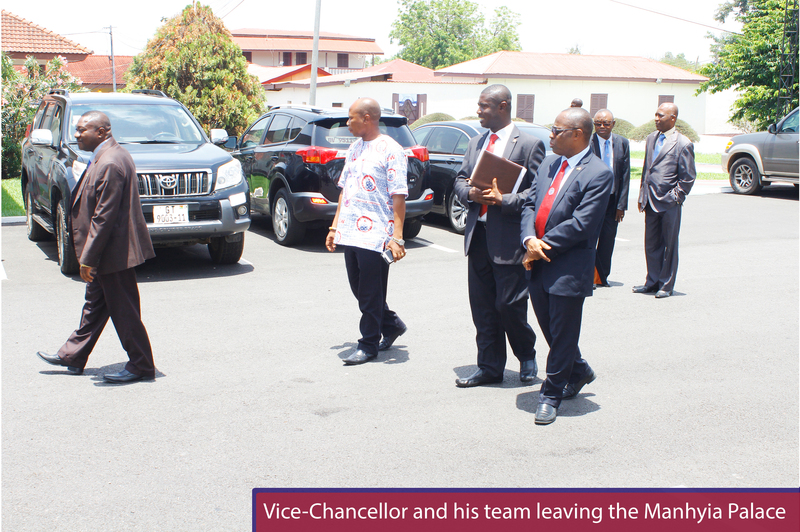 He, however, acknowledged the enormity and how challenging the sought reformation could be but encouraged the Vice-Chancellor to commit himself to bringing change in his tenure as head of UEW. “I have confidence in you to deliver”, the Asantehene told the Vice-Chancellor and assured him, that he would be visiting the various campuses of UEW in due time to apprise himself of current happenings in the university and explore ways that he could assist. The Vice-Chancellor Prof. Mawutor Avoke expressed delight at the opportunity to meet the Asantehene whom he described as a great assistance to the University. He recalled the invaluable role that the Asantehene played in ensuring that the indiscriminate encroachment of the university lands in Kumasi and its concomitant legal battles ceased. 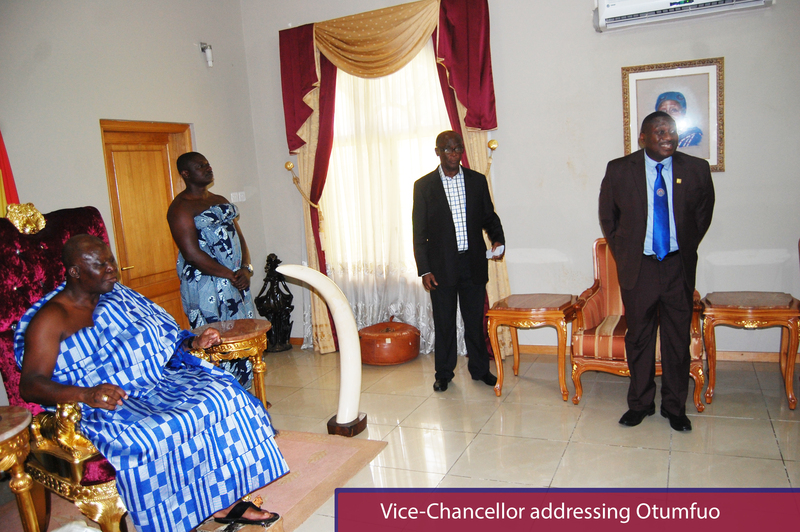 He said the University would support the Asantehene’s awards scheme for teachers in deprived areas.